Our visit to the Eternal City included many bookstores but we were delighted to visit this bookstore which bears a funny name. Naming your business after its location is always a risk. Once you decide to move (or you are forced by the circumstances), you're left with quite a dilemma. However, with some sense of humor, this problem can be solved quite elegantly. Almost Corner Bookshop is not at the corner of a street, but almost. Up until 2002, it used to be there and, not surprisingly, its name didn't contain the word 'almost'. Due to a lack of space, in 2002 the bookstore moved a couple of tens of meters further down (or was it up?) the street and thus acquired its new name. We have to say that the new location is a perfect match for this bookshop. Almost Corner Bookshop has the atmosphere of a typical small independent bookshop run by a devoted owner somewhere in the UK - however, this specific corner can be found in Rome. Founded by Claire Hammond, Almost Corner was bought by Dermot O'Connel, an expat from Kilkenny Ireland, in 2002. The store had been around for many years, threading its path to become one of the most known English language bookstores in Rome and a frequented spot for the expat population of the city. Mr. O'Connel is also praised for knowing so much about his stock and maintaining a friendly relationship with his customers. Almost Corner Bookshop is located in the vivid neighborhood of Trastevere and it stocks thousands of carefully selected titles, although the whole stock consists of solely new books - mostly fiction, together with a decent non-fiction stock from architecture, history, biographies, etc. This bookstore is a great source of 'a bit of home' for the ex-patriots living in Italy, while at the same time, it is also very useful for those studying or learning English. Unfortunately, Almost Corner does not have its own website. We were, however, able to find it on Facebook. Feel free to 'Like' them. 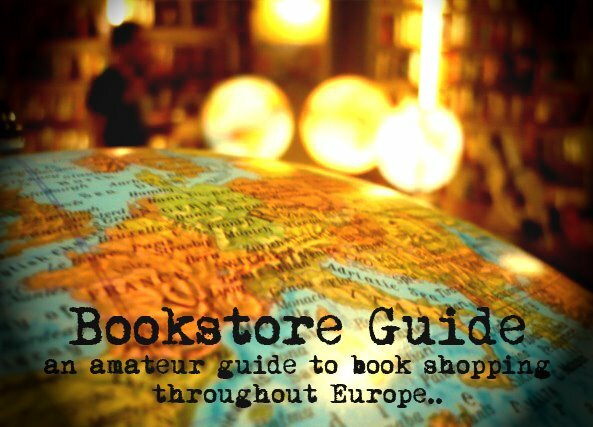 Furthermore, you can check out this interesting BBC cover story of the bookstore.